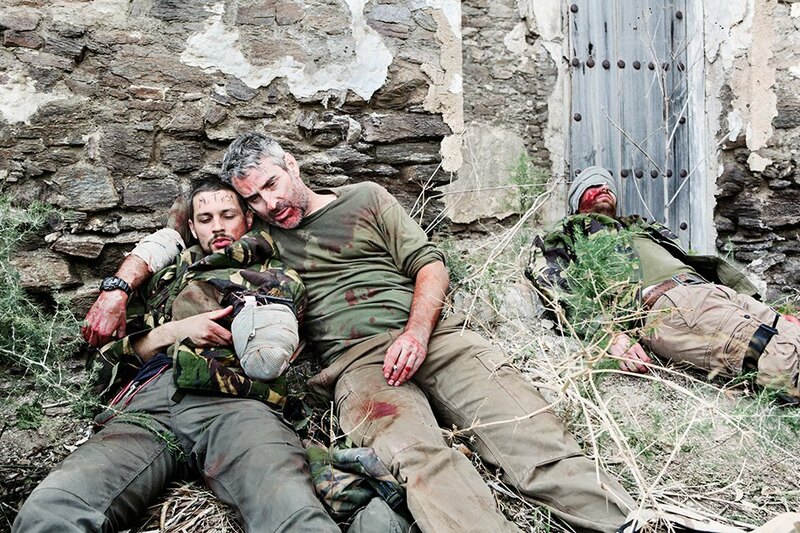 Photographer Luca Locatelli's “War-Craft” photos document a conflict photography workshop in the hills of Andalusia. 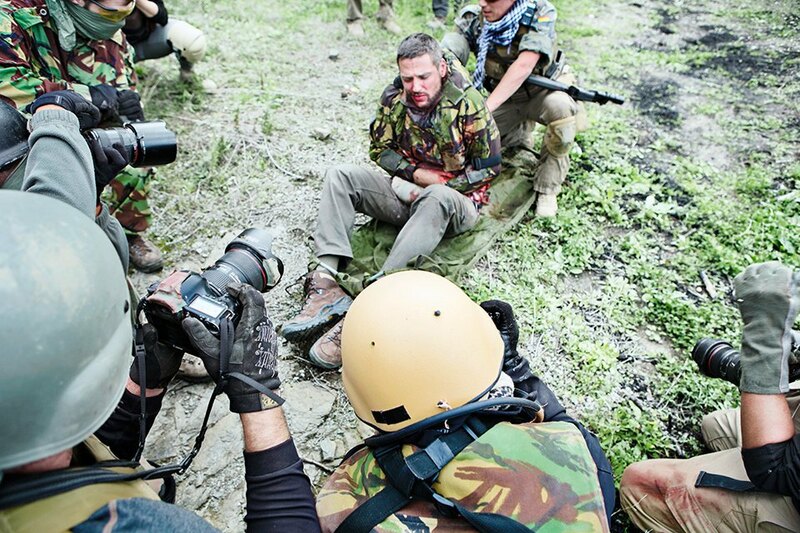 A staggering number of photojournalists covering conflict were killed in the field over the last year. The Associated Press alone lost four photographers. And freelancers are even more vulnerable. They’re often looking for the “bang bang” shots to gain recognition and assignments, but many lack the resources for the kind of hostile zone training which may prevent the worst possible outcome from an encounter with crossfire, kidnapping, and IEDs. How do you teach war photography? In the mountains of Andalusia, in the south of Spain, Jason P. Howe runs an unusual kind of workshop. 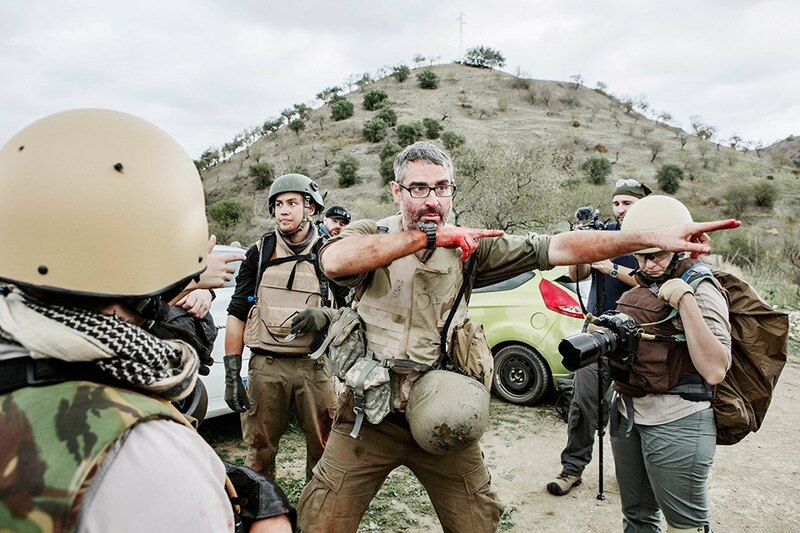 The 15-year conflict zone veteran, with a team of volunteers, takes aspiring war photographers on a 7-day training course, both practical and theoretical, from Battlefield First Aid and IED awareness to editing and ethics of war journalism. Luca Locatelli is a documentary photographer working on editorial and long-term projects, with a focus on story telling. He collaborates regularly with publication such as the New York Times Magazine, Wired, the Guardian, Stern, and many others. 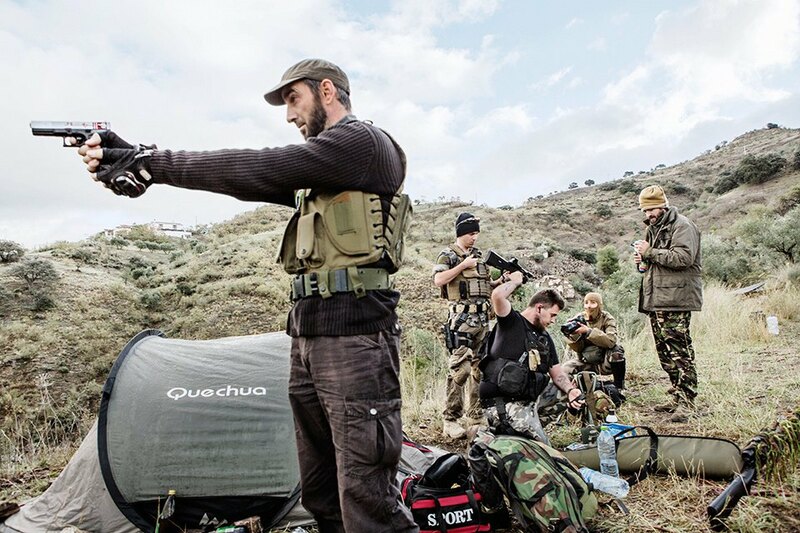 As Luca Locatelli’s “War-Craft” photos report, the scenarios, culminating with a combat operation between a rebel camp and British soldiers, are staged with remarkable precision. His images evoke a constant double-take, some indistinguishable from the visual representations of war we’re accustomed to seeing in the media. Looking at this simulation, as viewers we get all the pleasures of aestheticized combat, with little of the guilt some of the more cinematic journalism of our day might elicit. ↓ The Conflict Photography Workshop is situated high in the hills of Andalusia where many abandoned houses serve as a perfect setting to imitate a battlefield. 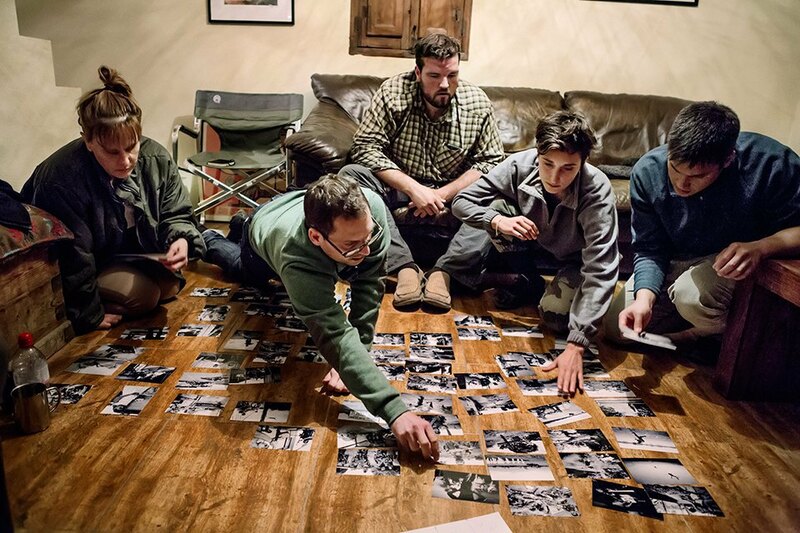 During the workshop, a group of 'rebels' are based in one of the houses. 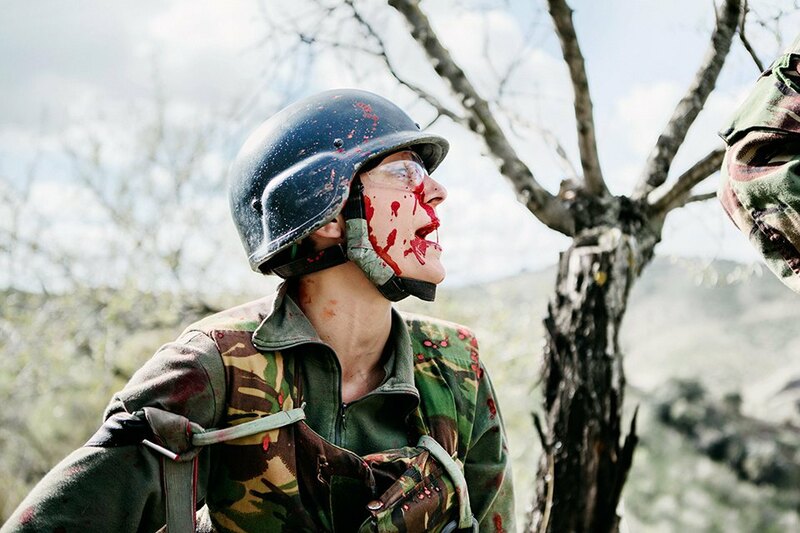 ↑ Barbara Doux, French photographer and student in the workshop, gets on the ground during a simulated conflict situation caused by an IED blast. 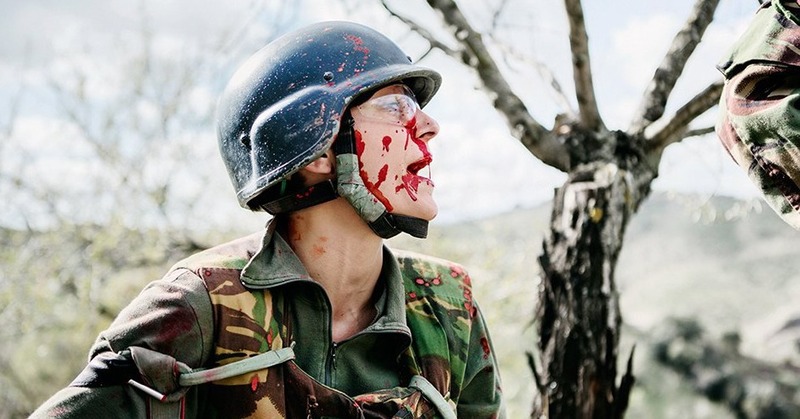 ↑ Barbara Doux, French photographer, covered in fake blood which had squirted from the body of the 'casualty', is shouting for help to one of the other workshop students close to her. 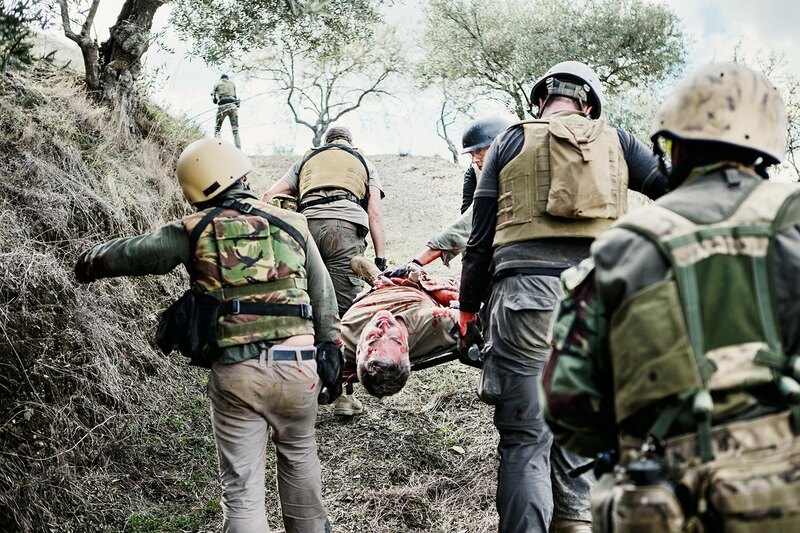 ↑ A simulation of a casualty inside the Rebel Camp. ↓ Louie Palu, instructor of the workshop, is carried more than 1.5 kilometers up and down the hill by the workshop students. 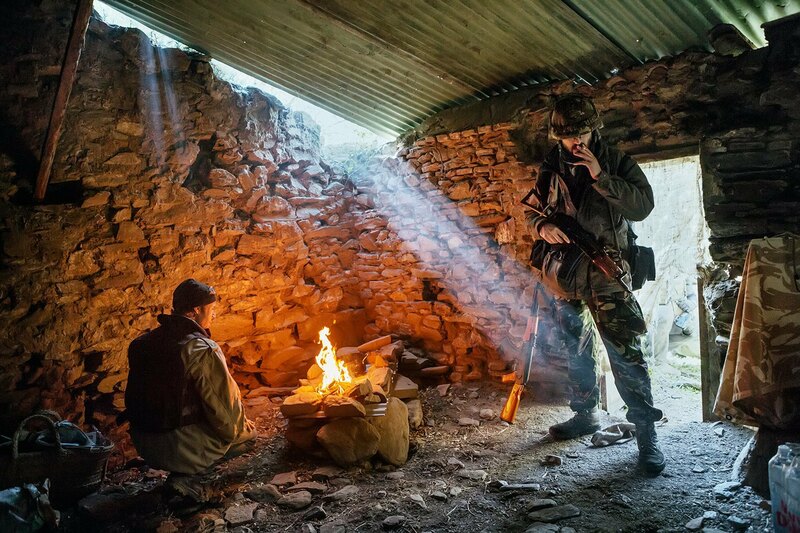 The tension never stops: casualty in state of shock, snipers shooting during the night, interrogations and even a simulated air attack against the village is part of the scenario. At the end of the 2014 workshop almost all participants understand that conflict is not a good business for them, while one student feels readier and more motivated to become a war photographer. ↑ Louie Palu, instructor of the workshop, is telling to the students to never stay in front of someone with a gun in a conflict situation. 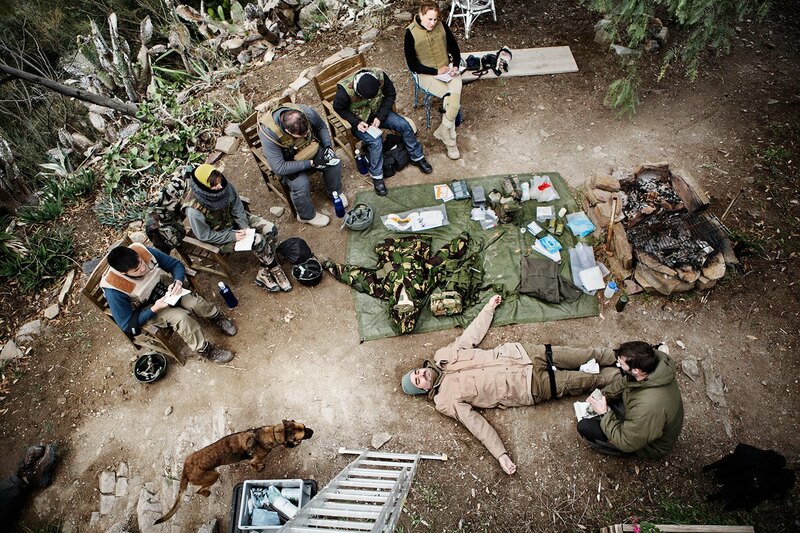 ↑ Louie Palu, instructors of the workshop, with other volunteers of the workshop after a casualty simulation. ↓ Soldier A. leading the workshop while teaching how to deal with a casualty on the ground.